The Honolulu Authority for Rapid Transportation received a federal subpoena for project documents this week, the agency said today. Federal officials want HART to provide documents and files that were made available to the state auditor. In a statement, HART said the documents included those dating back to the start of the project. These include "consultant contracts, a list of contractors and subcontractors, contractor change orders, and supporting documents, archaeological studies, and correspondence with the Federal Transit Administration regarding the rail project's Full Funding Grant Agreement." HART said it is pledging its full cooperation to federal authorities in complying with the subpoena, and wants to assure stakeholders that its staff and contractors will continue to work toward completing the project. Earlier this year, the state auditor found the delays to the rail project not only pushed back its operation date, but also inflated the construction cost from $5 billion to $9 billion. HART plans limited service by next year. 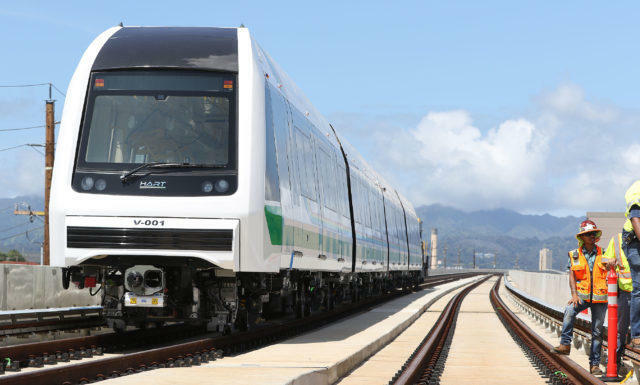 The Office of the State Auditor released its second report on the Honolulu Authority for Rapid Transportation today. This report highlights oversight and accountability issues within the agency, and HART's relationship with HDR Engineering, Inc.